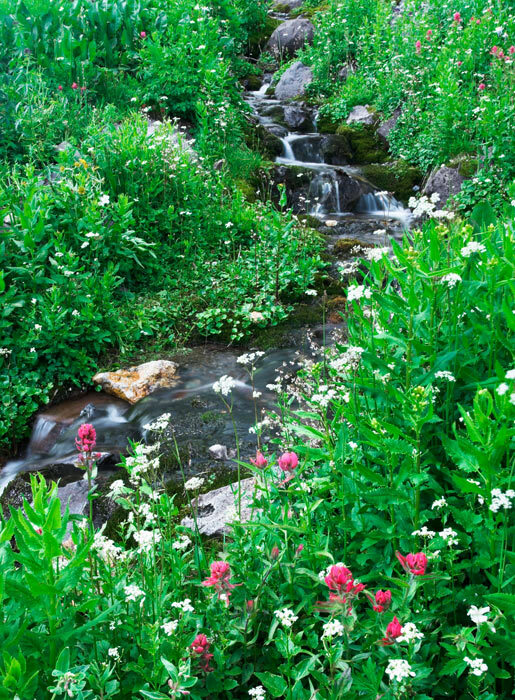 This photo was taken near the Twin Falls in Yankee Boy Basin near Ouray. To get to this location, a four-wheel drive vehicle and a little courage is recommended. At one point along the way up, the road (if you want to call it one) goes under a cliff for about 100 yards and is only passable by one vehicle. Photo © copyright by Mike Barton.